Our solutions are being by used by radiologists, radiographers, and Clinicians. Our turnkey solution includes test set and program development, deployment and training, reporting and analysis. I believe in Ziltron because Ziltron listens to what radiologists need, and delivers a unique and spectacular educational product. Ziltron has changed the way radiologists will integrate education and lifelong learning into their practice. Ziltron technology is practical, usable, and intuitive. It delivers an A+ product. Ziltron are proud to announce our new range of Self-Test programs for breast screening in collaboration with the LRCB in the Netherlands. 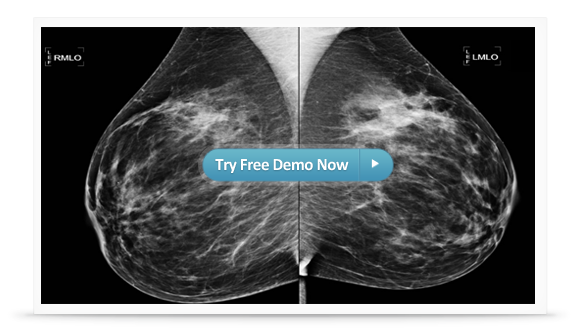 These programs have been developed specifically for Breast Screening Radiologists and Radiographers by international Breast Screening experts. LRCB is a knowledge driven organisation, where experts contribute to the reduction of death by cancer and of breast cancer in particular. LRCB delivers a contribution to the quality of early diagnosis, prevention and treatment of breast cancer. The program is suitable for breast screening professionals who want to test their breast screening skills, and for groups who want to run test/evaluation programs for their teams. For more details, select the appropriate Self-Test program. Ziltron’s unique, web-based interactive programs provide tools that measure “performance” in a very user friendly way, and also provide invaluable instant results and feedback for learning and improvement. There are programs for everyone, from program directors measuring residents’ competence, to department programs for staff radiologists’ quality assessment. Overall, the applications for assessment and education are endless. 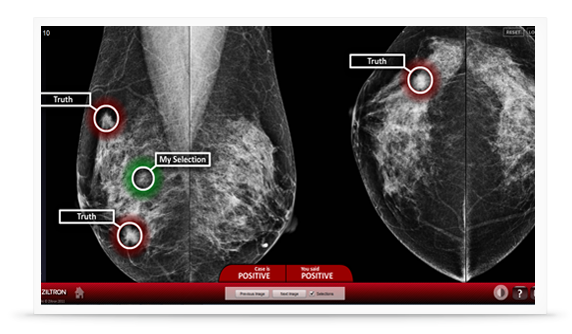 Ziltron is changing the way Radiologists see others through themselves!